Ravensburger Puzzle Sort & Go! 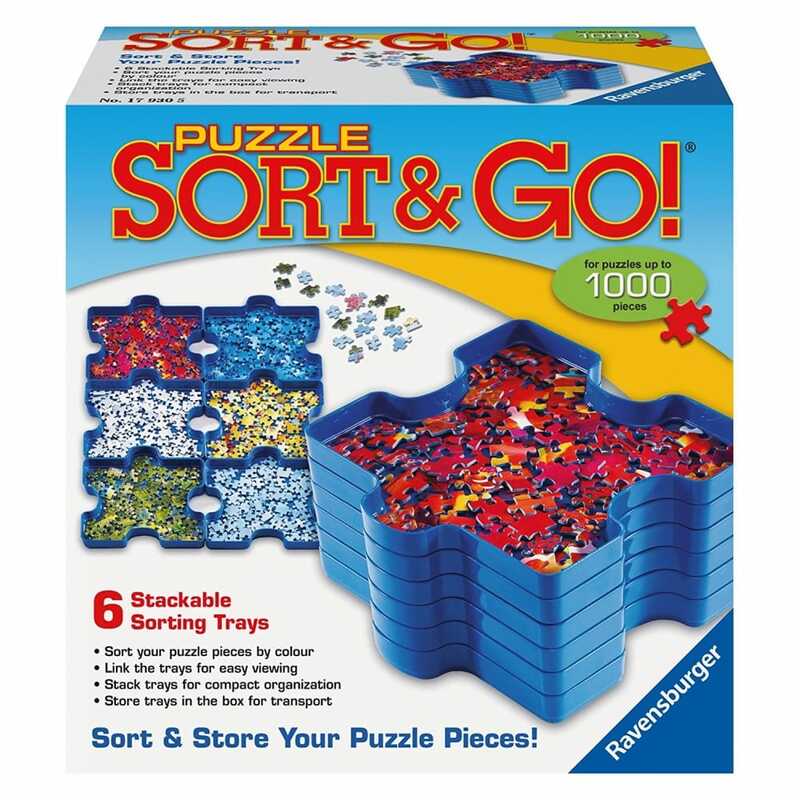 Puzzle Sort & Go Sorting Trays are 6 stackable trays for sorting and storing your puzzle pieces. Big enough to hold all the pieces from a 1000 piece puzzle, the blue puzzle-shaped trays can be linked or stacked, whichever you prefer. Each tray measures approximately 19 x 19 x 2 cm, and is made from high quality plastic. The trays stack within the box supplied, so you can store your puzzle pieces away like this if you prefer. These trays will last for years – so forget about using margarine tubs or the box base for storing your puzzle pieces - try these instead.